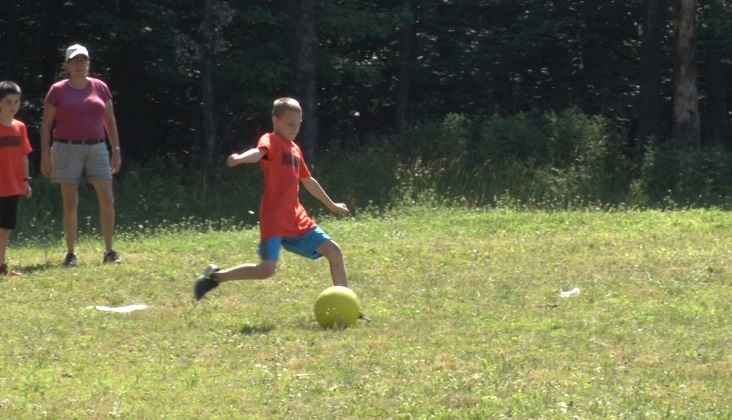 MARQUETTE — The Marquette County Health Department in partnership with Marquette County Cares held “Kick Drugs out of Town” kickball tournament this past weekend. Folks from ages of 5 to 95 years old gathered at Tourist Park Community on Saturday. This event was put on to show that there are alternative to drugs and getting people aware of drug abuse. This event is giving kids a positive spin on getting educated and staying active and fit. “It’s just kind of a preventative measure to get kids to know what the risk are. Also how to not get involved in the different things that could hurt them in the future,” said Michael Adams, Spokesperson for event. In addition to the kickball tournament there was face painting, fun games for the kids and more.